Just back from his family vacation at Cape Town, Akshay Kumar soon headed for the holy city of Mathura to kick-start the shooting of his next, Toilet – Ek Prem Katha. What happened there was something that he wouldn’t imagine, as it was nothing short of a divine intervention. “Akshay checked into his hotel and the moment he came out in the lobby, a couple of strangers approached him. While they chanted ‘Hare Krishna Hare Rama’, they also handed him over a copy of Bhagwad Gita. Apparently, these strangers were of foreign origin and weren’t aware of Akshay’s profession and his stardom,” informs our source. For Akshay, this was just the kind of start that he would have liked on the first day of the film’s shoot. 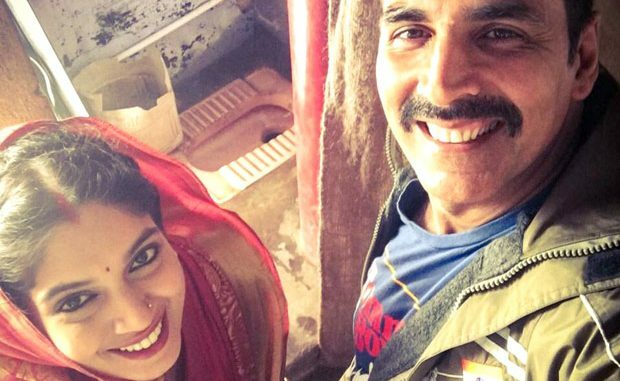 Toilet – Ek Prem Katha is a love story with the backdrop of open defecation menace in India. Given the kind of speed with which Akshay Kumar shoots his films, it won’t be surprising if he wraps up Toilet – Ek Prem Katha in 2016 as well!